A Rare Chance to Hear Instrumental Variety in Great Chamber Works! Cyrus Beroukhim, violin – His performances of Bach and Vivaldi Concerti with the Academy of St. Martin in the Fields were heralded as “flawless and sensitive” by the Zeitung im Espace Mittelland (Switzerland). Mr. Beroukhim has been a member of the New York City Ballet Orchestra since 2009 and plays regularly with the Orpheus Chamber Orchestra. He has appeared as soloist with the Milwaukee Symphony Orchestra, New York Symphonic Ensemble, Oakland East Bay Symphony, and several Baroque and chamber orchestras throughout the United States. 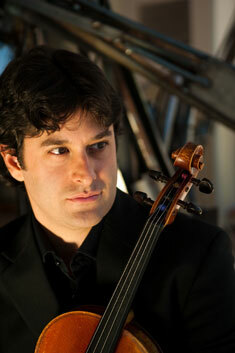 He has performed as a member of the Zukovsky Quartet, the Rose Quartet and America’s Dream Chamber Artists. He holds the doctorate from The Juilliard School. Anna Elashvili, violin – Hailed as “riveting” by the New York Times, Anna has appeared as a soloist, chamber musician and concertmaster around the world. She is a core member of Decoda, the first Ensemble-in-Residence of Carnegie Hall and has performed with the East Coast Chamber Orchestra, NOVUS NY, Exponential Ensemble and was the first violinist of the Bryant Park Quartet. She has concertized in England, Mexico, Germany, Canada, Israel, Iceland and Abu Dhabi. Having studied dance for several years, Anna enjoys collaborations with the Lar Lubovitch Dance Company and the Mark Morris Dance Group among others. Included are crossover collaborations with Natalie Merchant, and Becca Stevens. Emily Daggett Smith, violin – Emily Daggett Smith has appeared at Carnegie Hall, Avery Fisher Hall, Alice Tully Hall, Zankel Hall, Weill Hall, and Symphony Space in New York; Disney Hall in Los Angeles, and Symphony Hall in Boston. She is the founding first violinist of the Tessera Quartet and the West End Trio, and has appeared on PBS’s national broadcast, Live from Lincoln Center, as well as twice on NPR’s From the Top. She has performed as soloist with the Juilliard Orchestra and with the New York Classical Players. 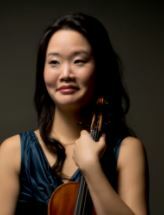 Katie Hyun, violin – Katie Hyun has performed as soloist with the Houston Symphony, Dallas Chamber Orchestra, The Philadelphia Orchestra, and the Columbia Festival Orchestra, as well as the Busan Sinfonietta and Incheon Philharmonic Orchestra in South Korea. She is founder and director of Quodlibet Ensemble and founding member of the award-winning Amphion String Quartet, which was a member of Lincoln Center’s CMS Two. On the Baroque violin, she frequently appears with Trinity Baroque Orchestra, the Sebastians, and New York Baroque Incorporated. She holds degrees from the Curtis Institute of Music, SUNY Stonybrook, and the Yale School of Music. Rebecca Anderson, violin – Violinist Rebecca Anderson is a versatile soloist and chamber musician based in New York City. Her recent appearances include solo performances with the Philadelphia Orchestra, contemporary music premieres with The Knights and members of Eighth Blackbird, and collaborative projects with Questlove and Ben Folds. Ms. Anderson’s passion for chamber music has led to festival appearances with Music@Menlo, Chamber Music Northwest, Lake Champlain Chamber Music Festival, the Savannah Music Festival, and Music from Angel Fire. She has performed in concerts presented by the Chamber Music Society of Lincoln Center and the Philadelphia Chamber Music Society, as well as appearances at Carnegie Hall, the Kennedy Center, and Library of Congress. 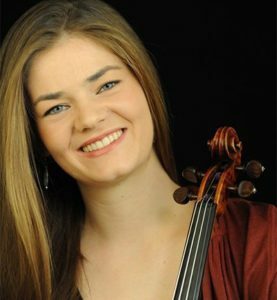 Catherine Beeson, viola – Assistant Principal violist with the Colorado Symphony, Catherine received the Master of Music degree from the Manhattan School of Music. She is on the faculty at Regis University and serves as Artistic Director of Loon Lake Live! a summer series in the Adirondacks. She has performed throughout the U.S., Austria, Spain, Japan and the Netherlands with groups including the New York City Opera National Company, the Handel-Haydn Society, the Asian Cultural Council, Santa Fe Pro Musica, two jazz quartets and a rock band. Dedicated to outreach, she has served as Teaching Artist for the New York Philharmonic, the Little Orchestra Society and in Denver for Up Close. She has authored curriculum for the New York Philharmonic KidZone website. She has performed at the Mostly Mozart Festival. 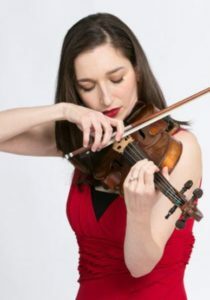 Danielle Farina, viola – Danielle enjoys a varied career as a soloist, chamber musician, orchestral musician, teacher, and recording artist in both the classical and pop genres. She recorded Jon Bauman’s Viola Concerto with the Moravian Philharmonic, Andy Teirstein’s Viola Concerto with the Kiev Philharmonic and premiered Peter Schickele’s Viola Concerto with the Pasadena Symphony. She was a member of the Lark Quartet, touring extensively in North America, Europe, and Scandinavia. She was also a member of the Elements Quartet and currently performs with the Orpheus Chamber Orchestra, the Orchestra of St. Lukes, Concertante and American Modern Ensemble. Ms. Farina has served as principal violist of the Brooklyn Philharmonic, and is currently a member of the American Ballet Theatre Orchestra and the Mostly Mozart Festival Orchestra at Lincoln Center. 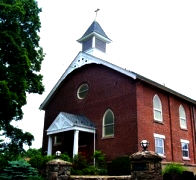 William Hakim, viola –William Hakim has performed throughout the U.S. and abroad. He is a member of the String Orchestra of New York City (SONYC), the New York Symphonic Ensemble and performs with the Manhattan Chamber Orchestra, Sonos Chamber Orchestra, Orion Music Ensemble and Metropolis Ensemble. As a jazz player, he has performed at the Jazz Standard, Le Poisson Rouge and the Iridium. 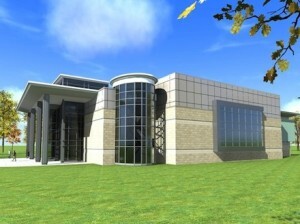 He is currently a doctoral candidate at City University of New York. 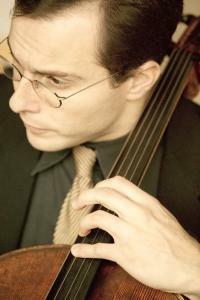 Alberto Parrini, cello – Born in Italy, Alberto Parrini has been principal cellist of the Northeastern Pennsylvania Philharmonic since 2007 and a member of the American Symphony since 2010; he also performs regularly with the New York Philharmonic and Orpheus Chamber Orchestra. In 2008, 2010 and 2011 he toured Japan as principal cellist of the New York Symphonic Ensemble. As a founding member of the Zukofsky Quartet he has given performances of the complete string quartets of Milton Babbitt in New York and Chicago. His principal studies were with Timothy Eddy, Joel Krosnick, David Soyer, Colin Carr and Enrico Egano; he is a graduate of the Curtis Institute and the Juilliard School. Alberto teaches cello at Princeton University and, in the summer, at Kinhaven Music School. Motomi Igarashi, violone – Motomi has appeared as a double bass, lirone, violone, and viola da gamba player, not only in the United States, but also in Japan and Europe. She currently plays with The American Classical Orchestra, the BEMF Orchestra, Concert Royal, Foundling Baroque Orchestra, Philomel, the New York Collegium, and Bach Collegium Japan. 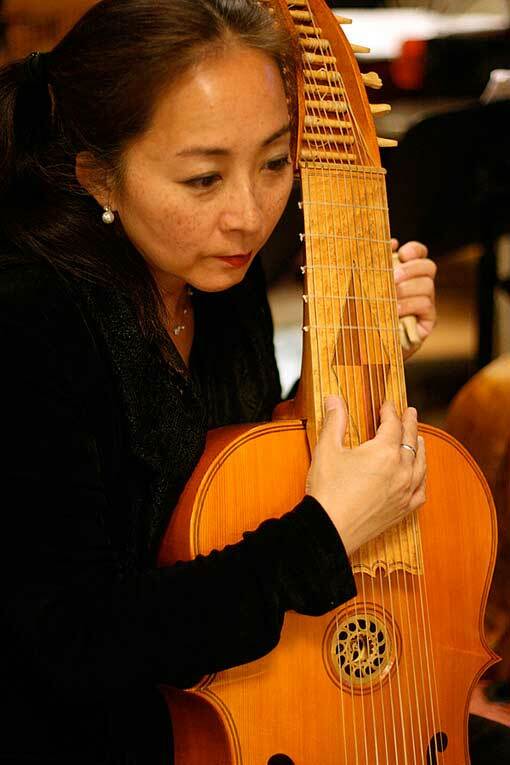 After graduating from the Juilliard School in 1992, she spent several years in France, intensive studying Baroque style and the viola da gamba, and playing with Marianne Muller, Wieland Kuijken, and Paolo Pandolfo, among others. She also attended Accademia d‘amore in Bremen and has studied lirone with Erin Headley. She plays the viola da gamba and Lirone as a member of Anima. Lionel Party, harpsichord – A native of Santiago, Chile, Lionel Party studied with Elena Waiss at the Escuela Moderna de Musica, graduating in 1965. In 1966 he was awarded a Deutscher Akademischer Austauschdienst scholarship by the West German government to study piano with Rosl Schmid and harpsichord with Hedwig Bilgram at the Musikhochschule of Munich. In 1970 Mr. Party came to The Juilliard School to study harpsichord with Albert Fuller first as a Fulbright scholar and then as recipient of a Juilliard Alumni grant. 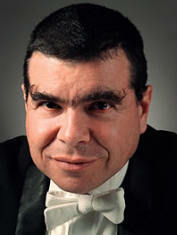 He obtained his doctor of musical arts from Juilliard in 1976. Mr. Party has played solo recitals in New York City’s major concert halls including The Metropolitan Museum of Art, Frick Collection, Alice Tully Hall, Abraham Goodman House, 92nd St. Y – as well as Boston, Washington and other U.S. cities. He has made numerous appearances with Orpheus Chamber Orchestra, Waverly Consort, Solisti New York, among other ensembles. 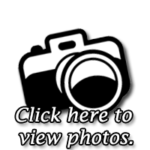 Tanya Witek, flute – Tanya Witek has performed throughout the United States, Europe and Asia with the New York Symphonic Ensemble, the Orpheus Chamber Orchestra, Continuum and Musicians from Marlboro. She is a newly appointed member of the Mostly Mozart Festival Orchestra at Lincoln Center and has recorded for EMI, Bridge, NHK, CRI, Panasonic and CBC. Her debut solo recording was released in 2006 on the MSR label. Ms. Witek is active as a performer and teacher in the educational programs at Lincoln Center, the New York Philharmonic, Carnegie Hall, and she is currently on the faculty at Montclair State University, where she is a professor of flute and director of the MSU Flute Ensemble. She graduated from the University of Calgary and received her master and doctoral degrees from Juilliard. Marcantonio Barone, piano –Marcantonio Barone has given solo recitals at the Metropolitan Museum and Weill Recital Hall in New York and the National Gallery in Washington. He has appeared on the recital series of the Philadelphia Chamber Music Society, Ravinia Festival, San Francisco’s Midsummer Mozart Festival, at Wigmore Hall in London, the Rachmaninoff Hall in Moscow and the Great Hall of the St. Petersburg Filarmoniya. He has performed as soloist with major orchestras on four continents and as guest artist at the Philadelphia Orchestra Chamber Music Concerts. He is a touring member of Orchestra 2001.